Although entry-level and mid-level positions comprise the bulk of the workforce in most organizations, there is nothing wrong with wanting your career to advance. 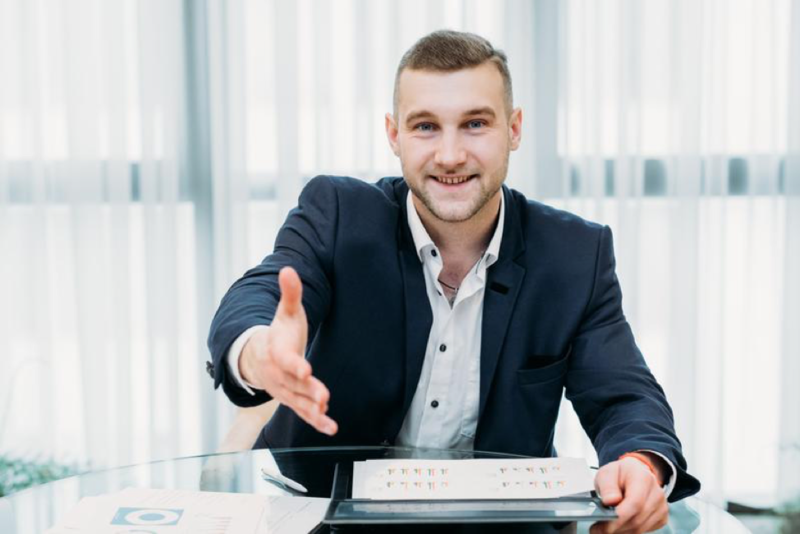 Having a vibrant career that connects your skills and passions with organizational needs not only enhances employee engagement, but it also helps to ensure your long-term happiness. Here are five tips that you can use to propel your career to the next level. Statistics gathered from The Next Web found that a lack of communication was the main reason 62 percent of people hated their jobs. Regardless of your position or salary grade, it’s imperative that you utilize effective communication with coworkers. This often includes active listening, reflecting before you communicate, using positive language, and understanding the communication styles and preferences of others. Your ability to communicate effectively increases your credibility as a teammate and as a leader, and this skill is often valued at a premium with hiring managers. Go above and beyond in your efforts. Learning important pieces of sign language can help you communicate with co workers, customers, and more. Whether you work in for-profit industry or the not-for-profit sector, you likely have clients – key stakeholders that are essential to the success of the business – with whom you need to stay connected. Throughout the course of a busy day or week, it seems challenging to speak with these individuals. Although the following tips for continuously communicating with your clients are intended for revenue-generating businesses, I believe that the guidance on identifying customer touchpoints, focusing on the happy path, and developing feedback loops are critical to creating a world-class customer in any type of organization. Taking time each week to reach out to these important people, finding out what they need, and refining approaches or offering additional services ensures that current client relationships remain strong. You might even find that staying in touch with clients leads to them referring more customers to your business. Developing a track record of strong, demonstrable customer service can round out the tactical skills that you have gained along your career path. A common refrain I hear from multiple clients that I coach is that it feels like there is never enough time in the day. If you constantly feel this way, I offer that it is time to examine your time management practices to better understand how you spend the hours and minutes. I encourage my clients to conduct a personal time audit to find out where their time is going. Performing a time audit is simple: just record what you're spending time on throughout the day. You can do this old school with a notepad and a pen, or you might leverage technology to help you count the time and notes. I recommend recording, on an individual basis, the task that you are working on, the start and end time for the task, its duration, and any notes that you need to jog your memory on task activities and why you were performing them. You might be surprised to find that what you thought took minutes to complete ended up taking hours. The most successful workers learn the art of delegation, even if they are not in a managerial role. After all, delegation can go up, down, and sideways. If non-essential tasks are precluding you from delivering value from your current position, consider what you might delegate to others or stop doing completely. As you seek to progress in your career, those who make hiring decisions won’t care about how much time you spent whittling away at your to-do list; however, they will be paying attention how much impact you made in your current position. The Center for Creative Leadership notes that middle managers need to be resilient. While you don't want to think about it, no job is without some amount of stress. In certain situations, this stress can come from a mistake you've made. However, it’s important to remember that it’s impossible to go throughout life without making a few mistakes. How you bounce back from these mistakes helps define your career as a middle manager. You've heard about the importance of leading by example. Instead of fearing mistakes, think of them as learning experiences that are designed to help you grow. This helps to show your employees the importance of not being afraid to take chances. Leveraging the Action-Reflection-Action model helps you game plan for future success. We’ve all heard about the importance of thinking outside the box. After all, using the same ideas often can result in business stagnation, or even critical errors in judgment from the false analogy fallacy – believing that what worked in the past will solve a similar current problem or need. As adults, we’ve become socialized to rely more on the facts than your imagination. However, experts believe that it's time for this way of thinking to stop. It's wise to use the power of your imagination to generate new ideas. In all likelihood, the company you work for was founded because of a single creative thought. If you're spending 40 or more hours a week at your job, you probably have many original ideas for making things run more smoothly or creatively. Instead of keeping those ideas to yourself, present them to others. For example, if you have an idea on how integration of a software program or methodology could help produce better results, even if they are just casual thoughts, it would never hurt to share them with others, especially any superiors. There are several skills that you can refine in small, yet consistent ways to take your career to the next level. While it will require effort to implement them and discipline to stay the course, the energy you put in to creating more value and impact to become a better organizational asset will pay off. Consider combining the previously mentioned skills to amaze your colleagues and clients. Are you looking to move forward with your career? Finding the right avenues to success doesn’t have to be difficult. Get invaluable insights and perspectives with EduJay's success coaching services.